Proper strength training is an important part of maintaining overall fitness. Whatever your fitness level and goals, the right bodyweight workout can help you achieve and keep the strength you need. The following bodyweight exercises for your legs help you train the full range of muscles in your calves and thighs. Because you only use your body in performing them, there is no need for complicated equipment or expensive gym memberships. Plus, they focus on improving the muscular functions you use in daily life. Bodyweight squats provide an efficient workout for your glutes, core and leg muscles. Position your feet shoulder-width apart, with your back straight and your weight resting on your heels. Then bend your knees so that your thighs become parallel to the floor, leaning forward while continuing to keep your back straight. Stand up, using your glutes and core to power your rise. To add cardio to this exercise and step up the strenuousness, you can do some jump squats. After doing the first two steps as described above, jump upwards, straightening out your legs and keeping your back straight. Keep your knees soft as you land. Pistol squats are another variation that introduces a higher level of difficulty and can be great for working on your balance. Standing with your feet together, lift one leg slightly and begin moving it forward. Then bend your other knee, going into a squat. Ideally, you would be able to get your thigh parallel to the ground, but this can take quite a bit of practice. Straighten your leg and bring your extended leg back to the ground. Repeat, alternating your legs. Basic Lunge: Stand with your feet one shoulder-width apart. Take a step forward with one leg while simultaneously performing a squatting motion. The knee of your front leg should be in line with your ankle, while your other knee should not touch the floor. Both of your legs should be at a 90-degree angle. Push back up and switch to your other leg. Reverse Lunge: Instead of stepping forward, step backwards with one leg. You can change up this move by adding a knee left: as you bring your rear leg back forward, lift your knee to your chest. Side Lunge: Take a step to the side, making it as wide as you can. Bend your knee, keeping the other leg straight. Return to your starting position and perform the move stepping to the other side. Curtsy Lunge: Step backwards with one leg, bringing it behind the other one in a diagonal line. Then bend your knees into a lunge; do your best to keep both legs bent at 90 degrees. When doing lunges, remember to keep your back and shoulders straight. The leg you extend should provide most of the power as you return to your starting position. Raises work your muscles, balance and flexibility. 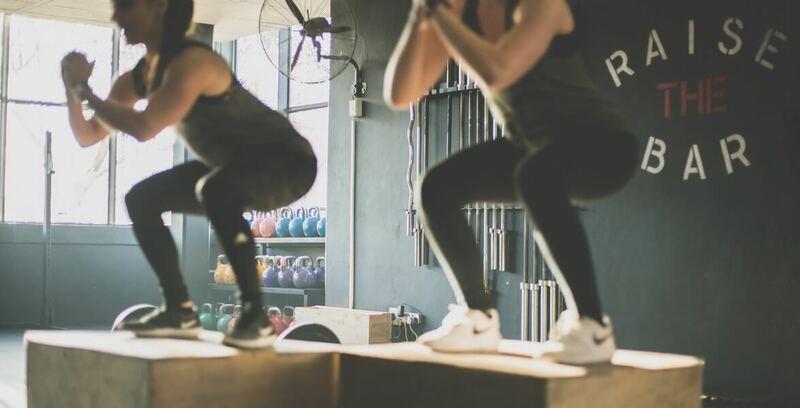 Changing up your routine to incorporate several versions of this basic move can help you get the all-around leg bodyweight workout you need. Calf Raise: Begin with your feet slightly apart. Lift one knee to the level of your hip and raise the heel of your other foot off the floor. Hold this position while counting to three, then slowly lower your heel and bring your other foot down. Side Leg Raise: Lie on your side with your legs straight, one on top of the other. Slowly raise the upper leg as high as you can, keeping it straight, then lower it back down, keeping your motion controlled. Turn onto your other side and repeat. Inner-Thigh Leg Raise: Position yourself as you would for the side leg raise. Then cross your upper leg in front of your lower one, so that your foot rests flat on the floor. Slowly lift your lower leg as high as you can, bring it back down, then switch legs. To get the most out of your bodyweight exercises, it is important to maintain proper form. Throughout all of the above exercises, you should be engaging your leg muscles and your core; do not let your lower back or your knees do all the work. Keep your movements under control. Going too quickly usually means letting inertia power your moves, which reduces training benefits for your muscles. Everyone has unique exercise needs and fitness goals. Whether you want to optimize athletic performance or regain your strength after surgery, the physical therapy can be an important part of your training regiment.